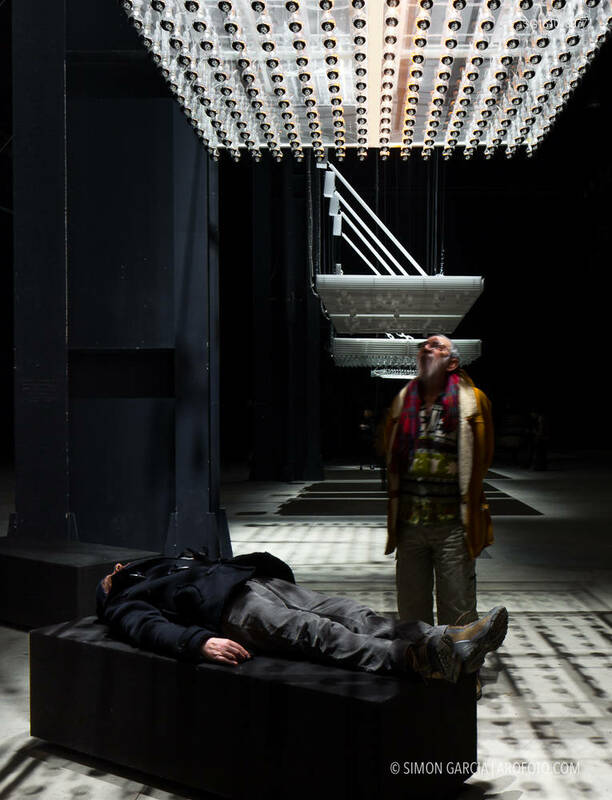 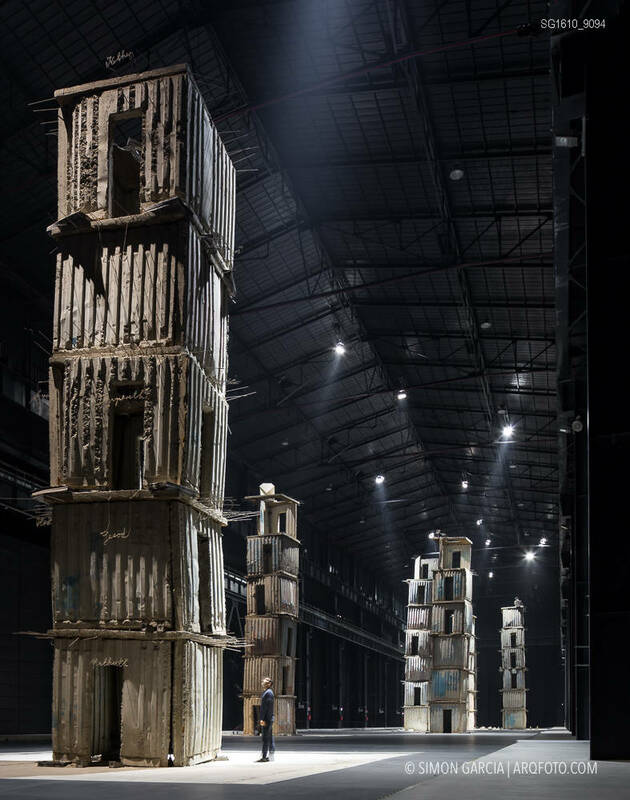 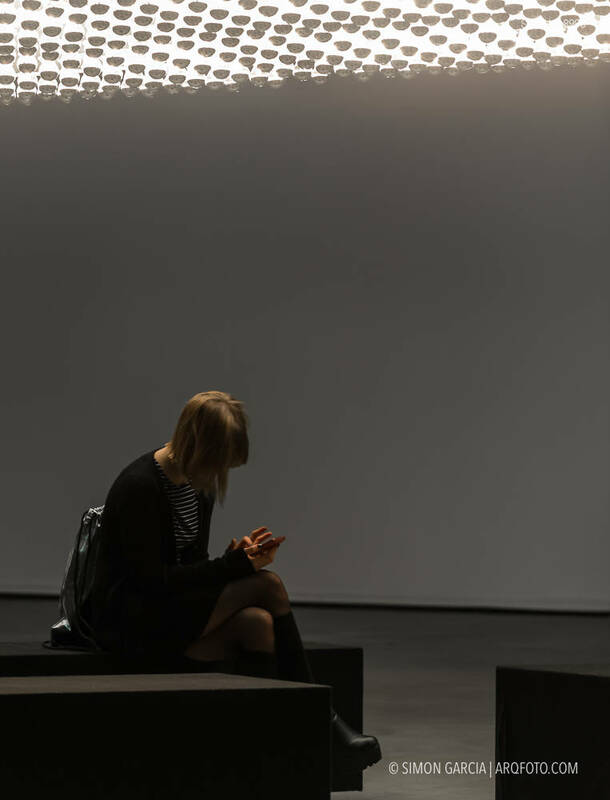 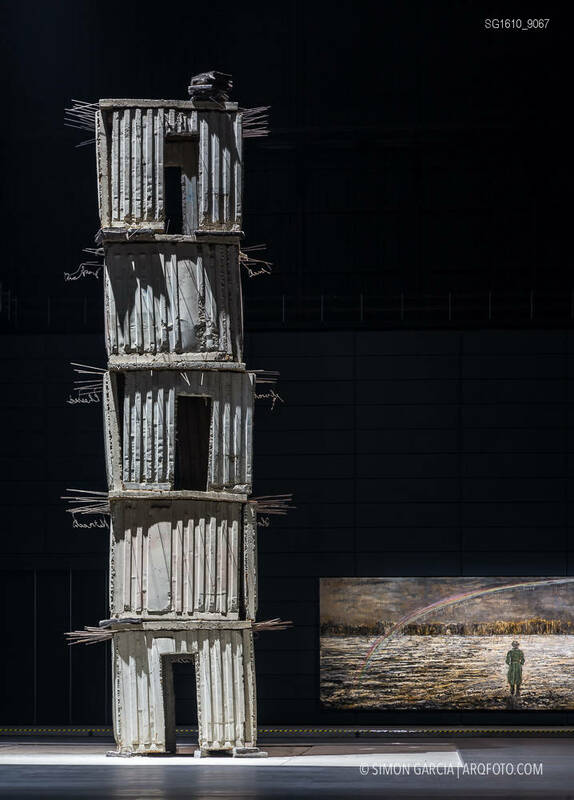 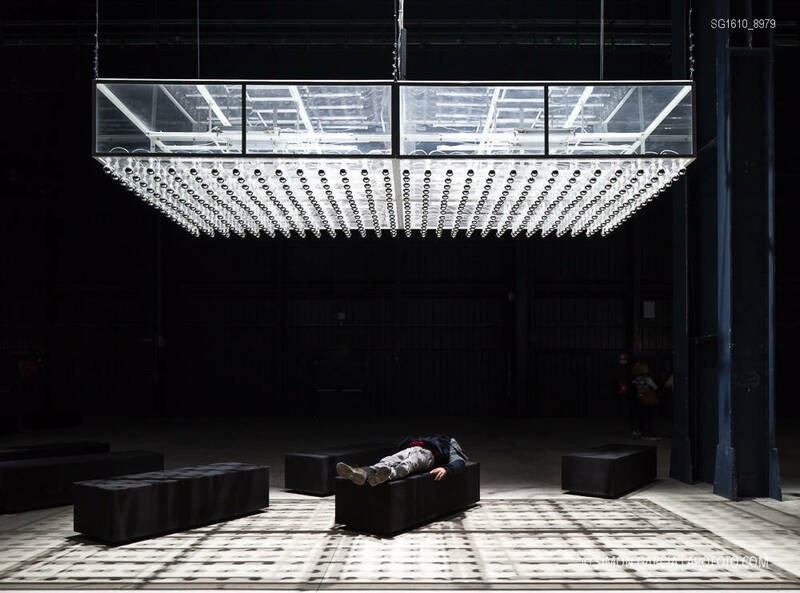 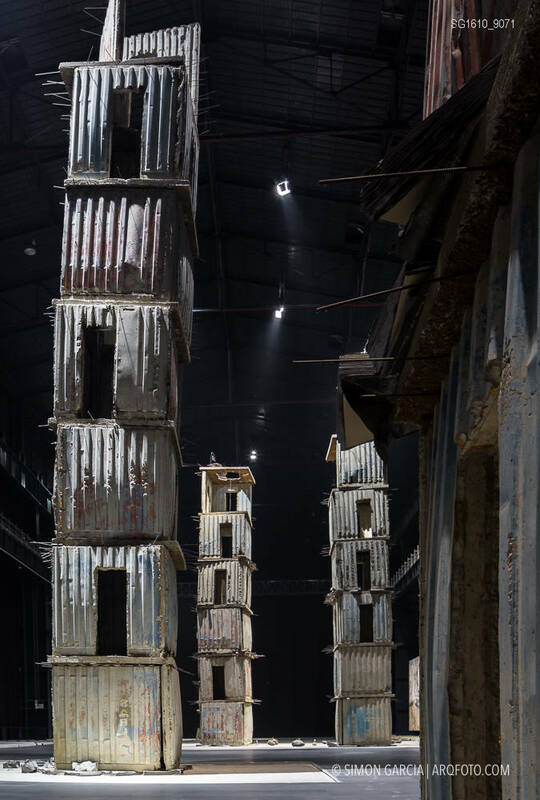 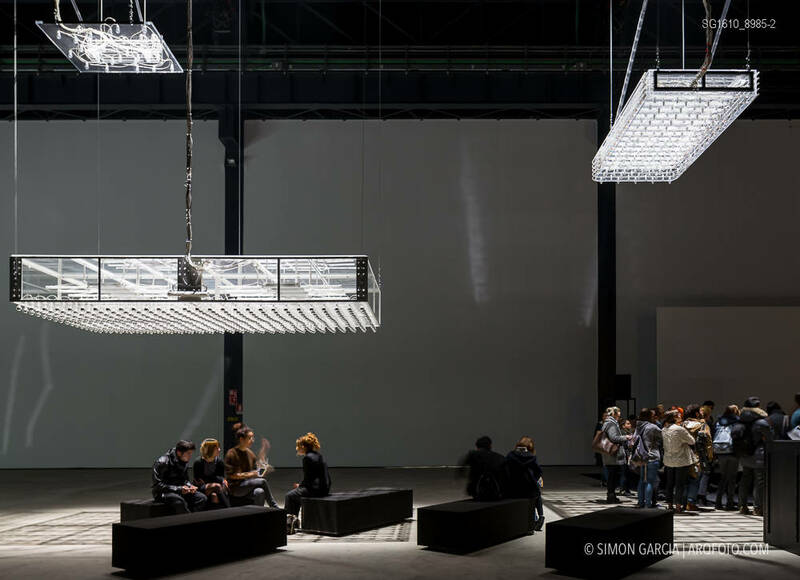 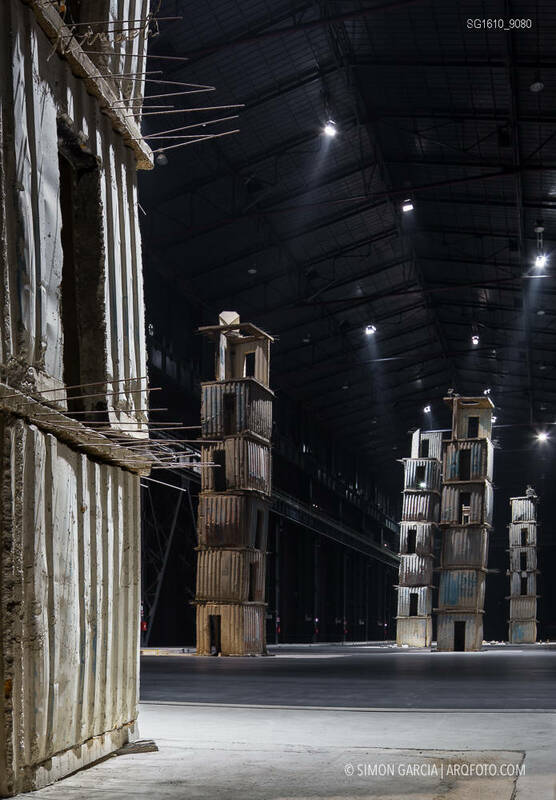 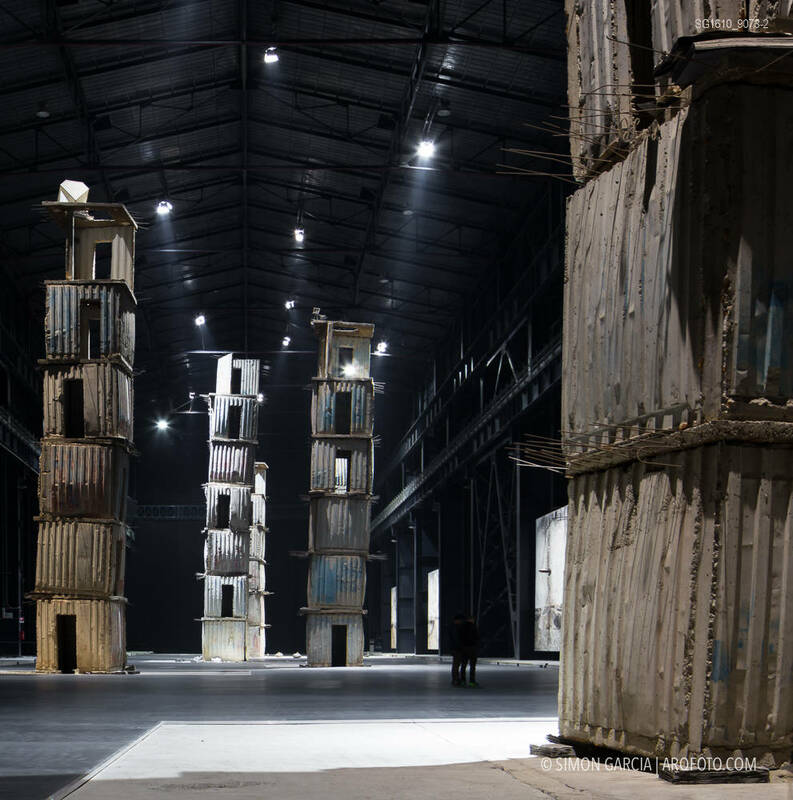 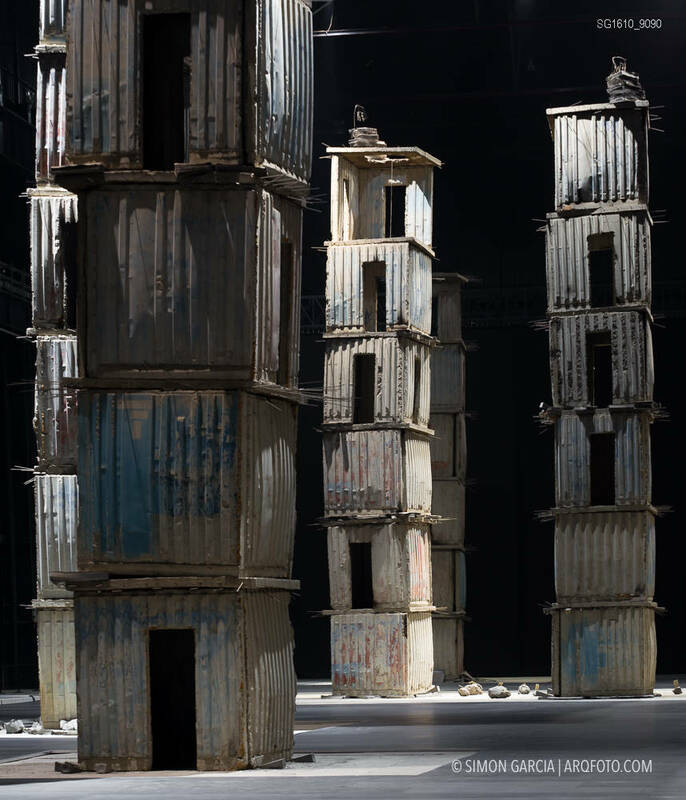 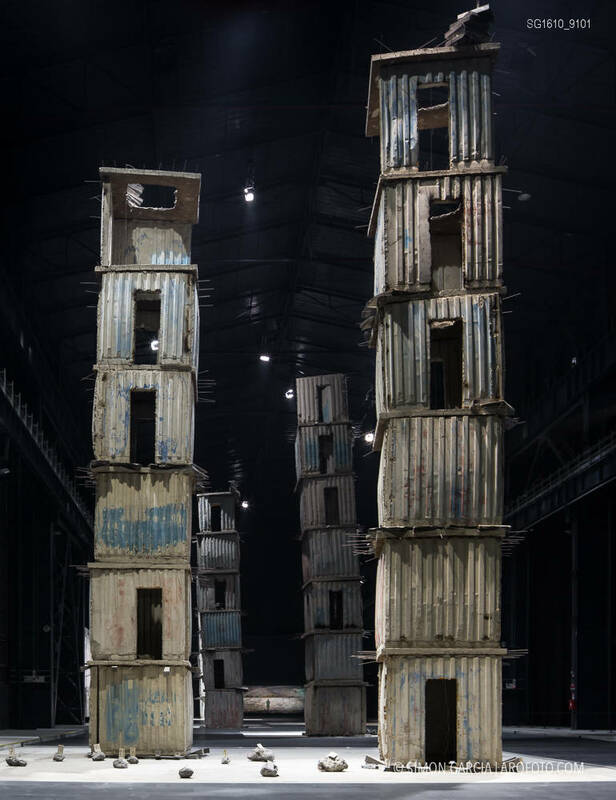 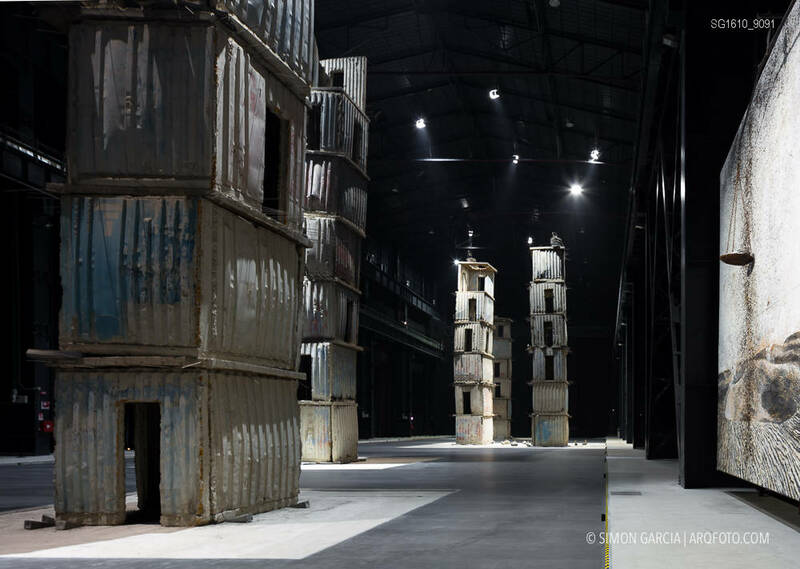 With two temporary exhibitions (Christian Boltanski and Carlos Casas) and three permanent installations (Fausto Melotti, Anselm Kiefer and Stephen Boccalini) and a project for reconstruction designed by the Milanese studio April, Hangar Bicocca in Milan welcomes the public back in its more definitive and more hospitable new look. 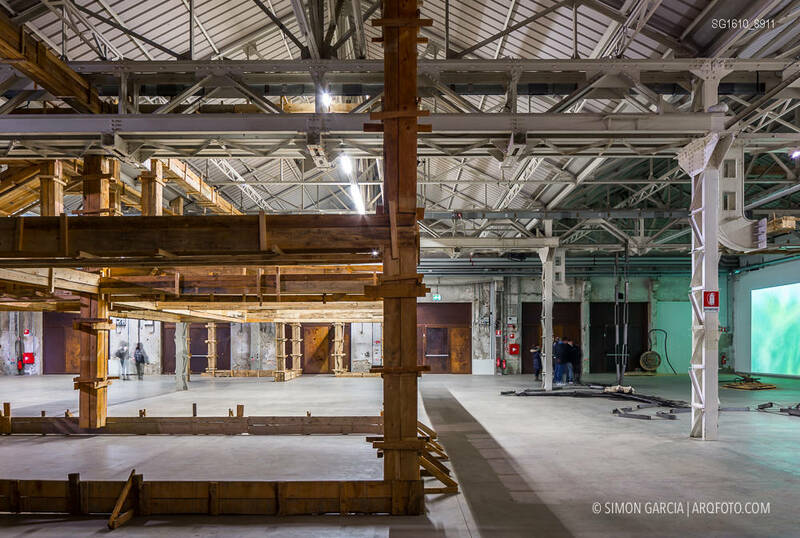 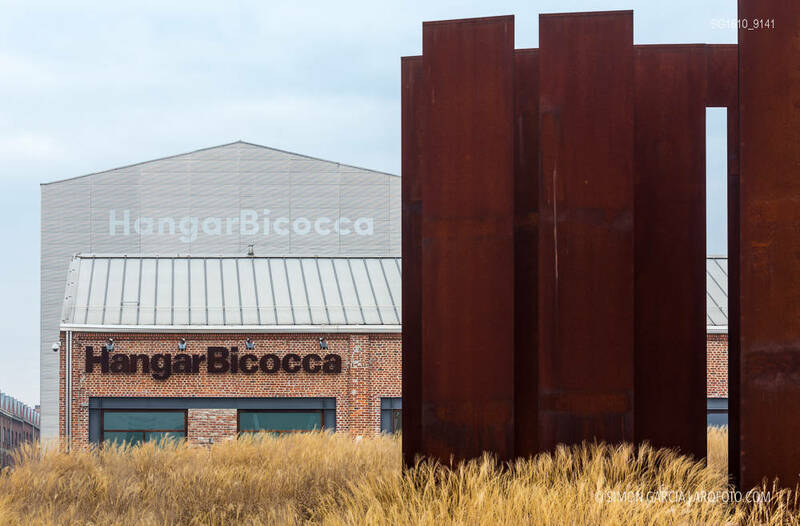 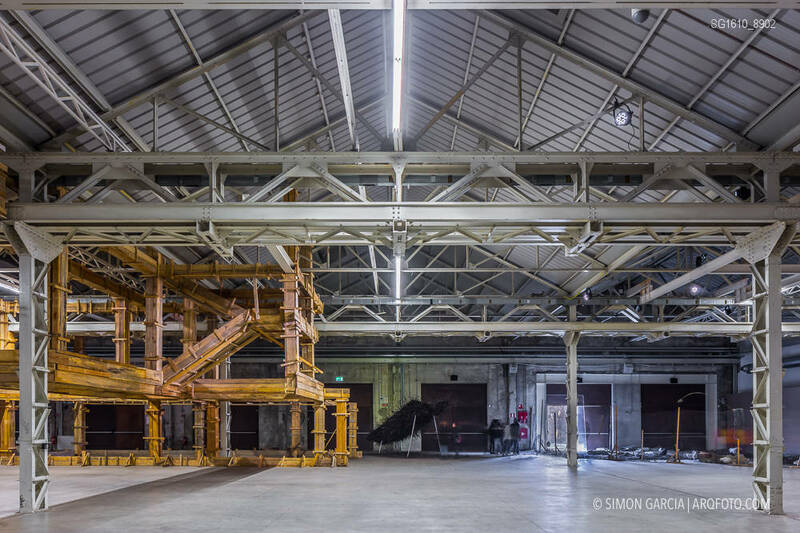 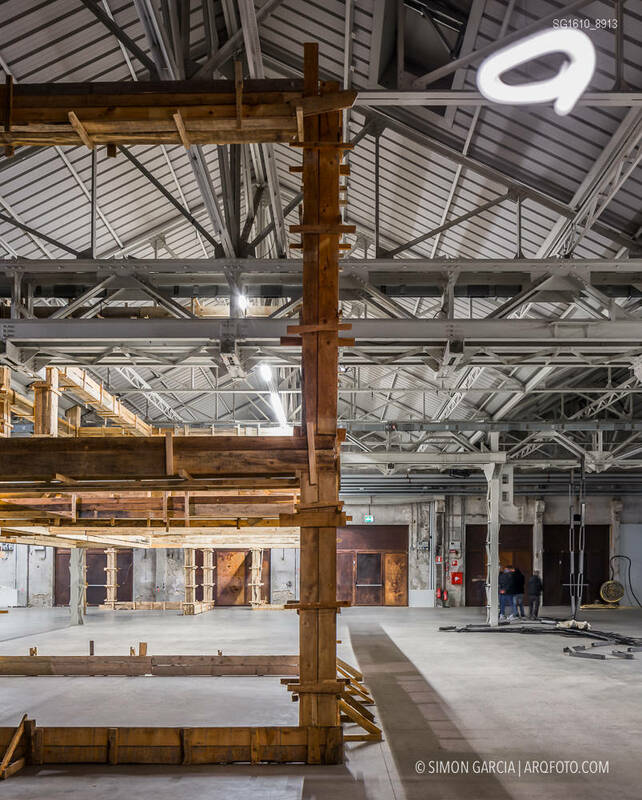 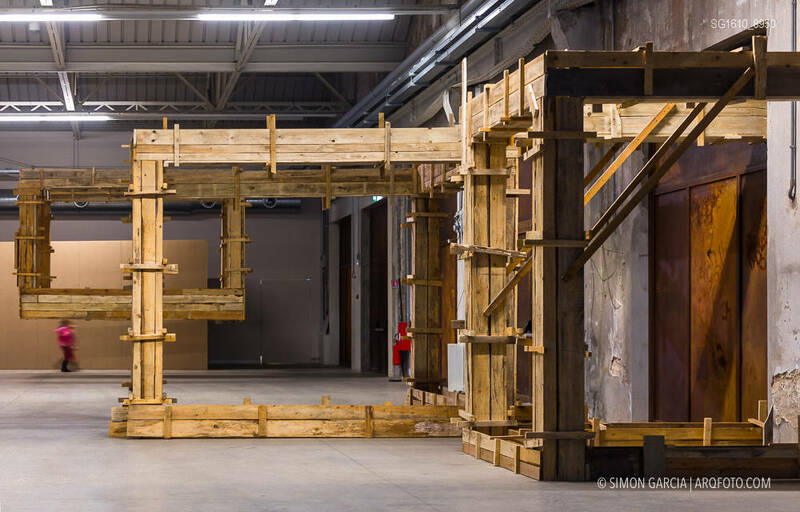 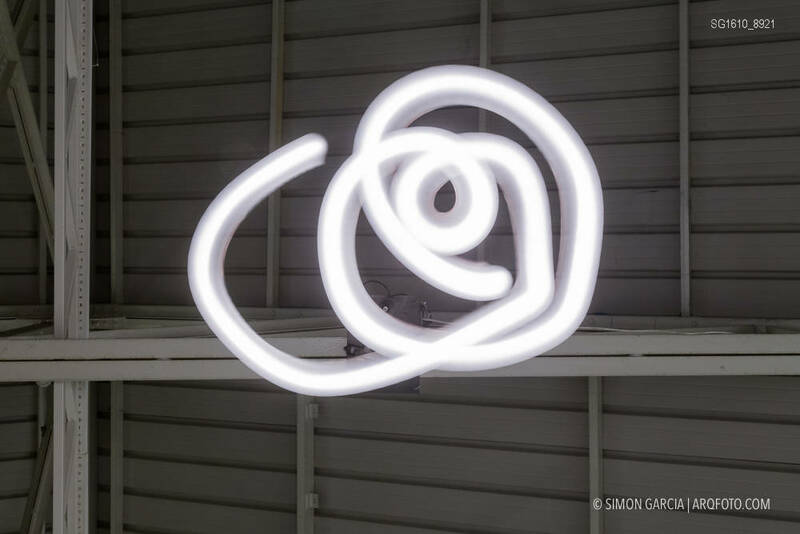 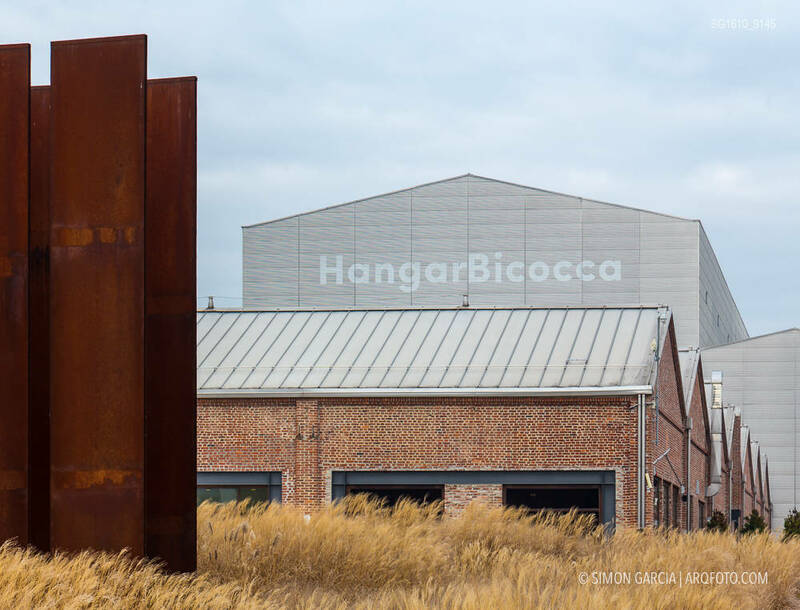 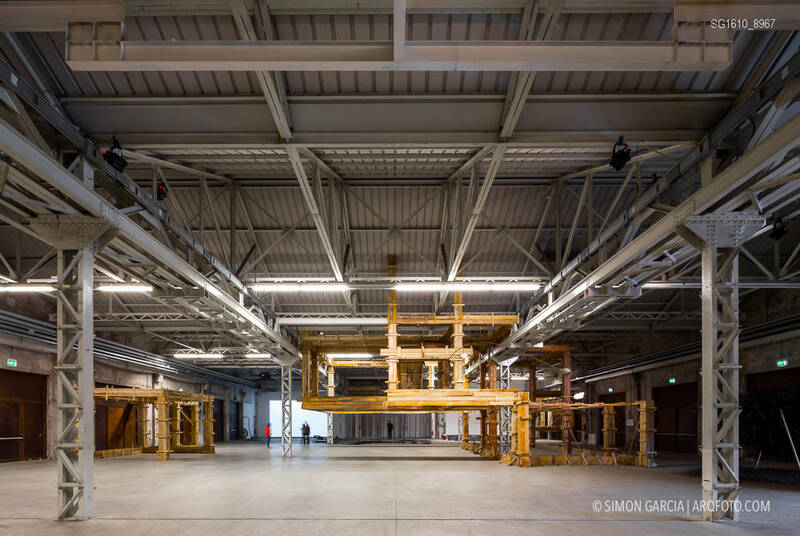 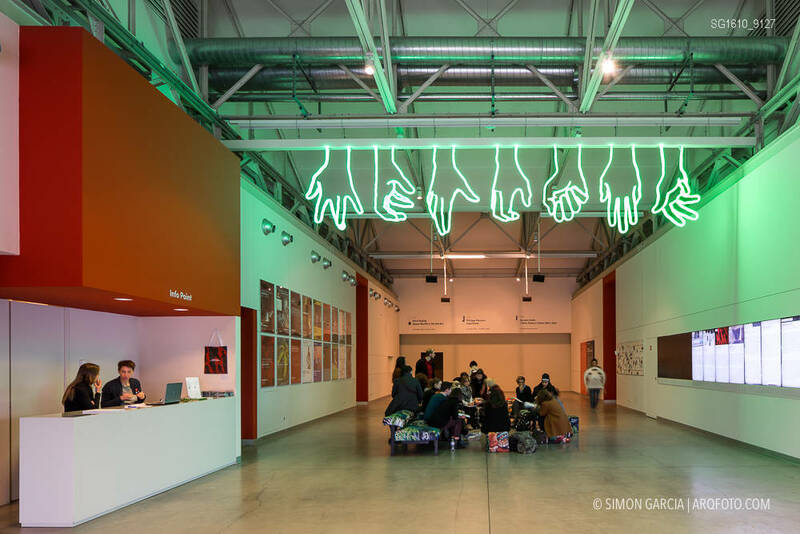 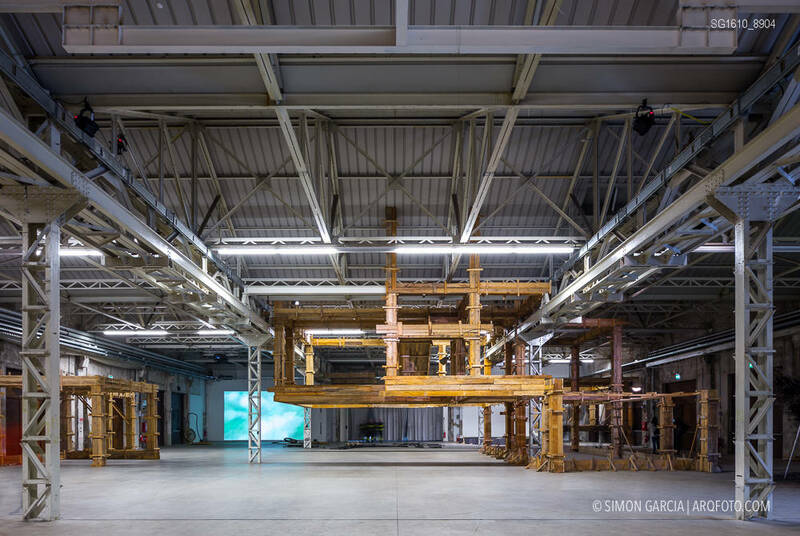 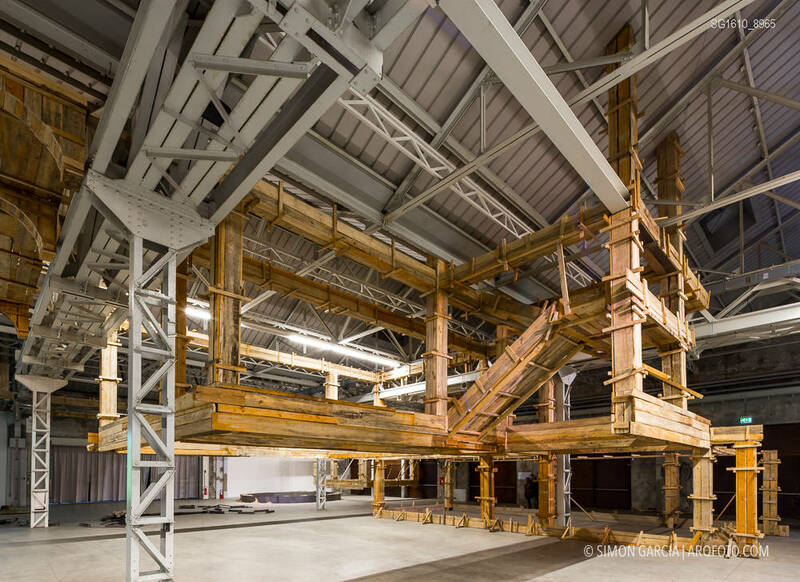 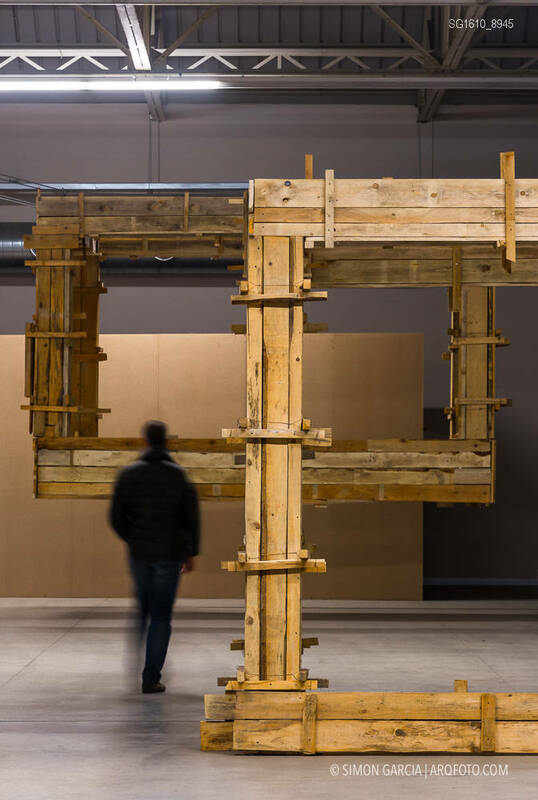 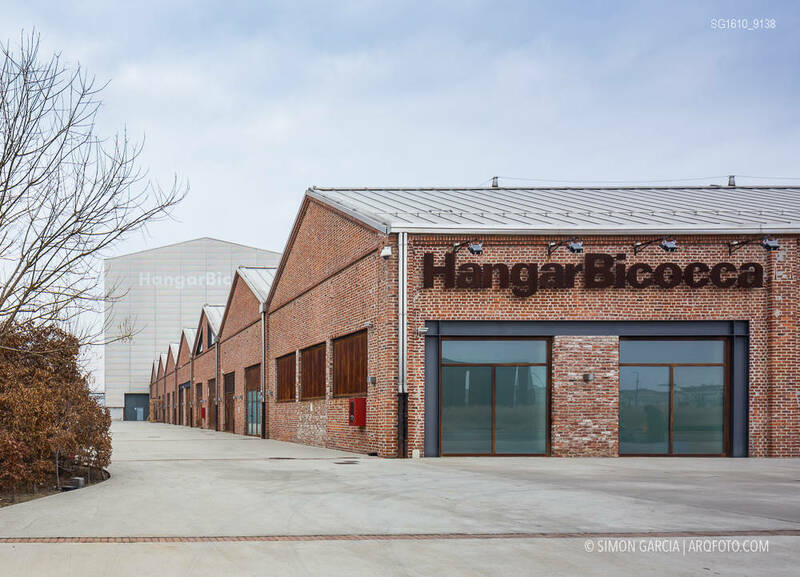 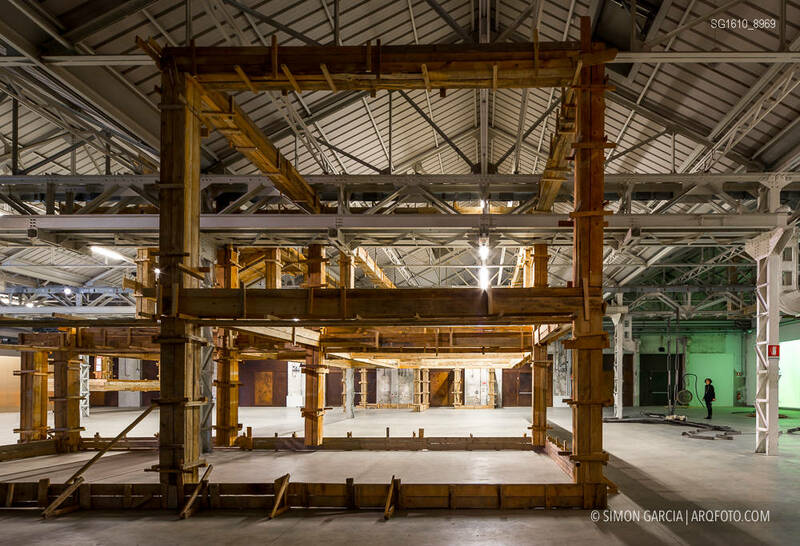 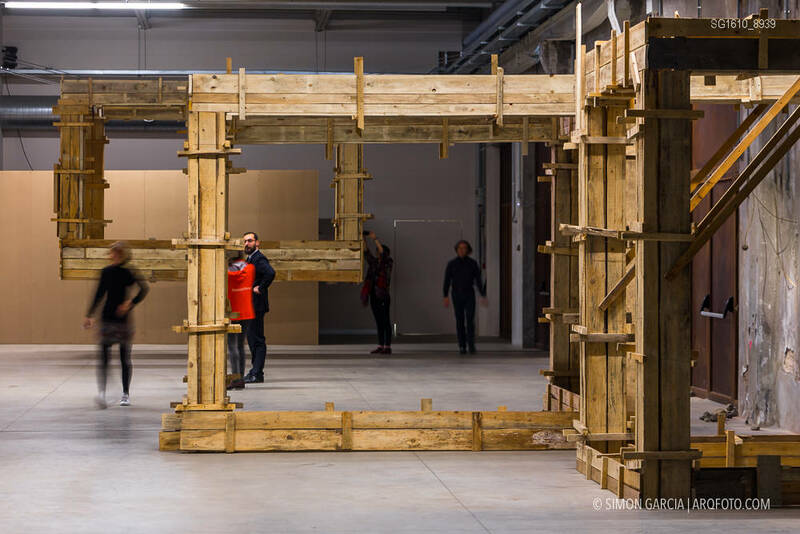 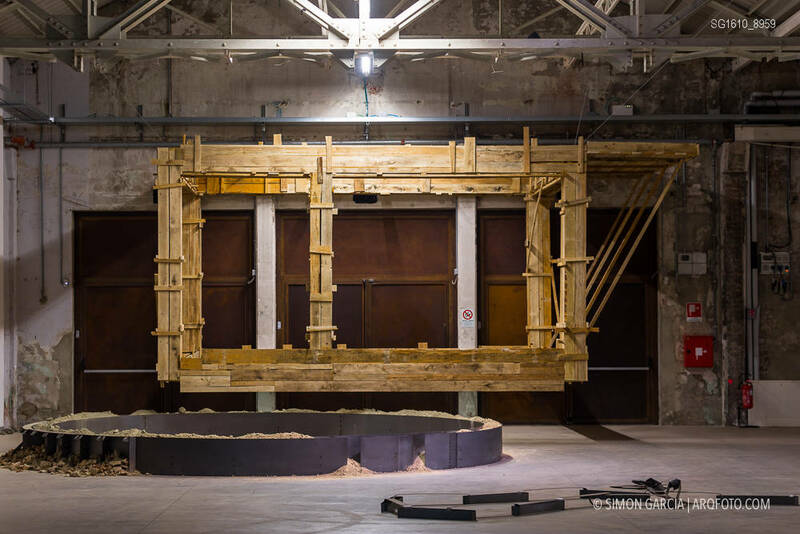 In the former Ansaldo factory – 15,000 square metres dedicated to contemporary art and opened in 2004, but closed in 2008 – April was entrusted with the handling of a programmatic and technical upgrade: offices, services, wiring and underfloor heating. 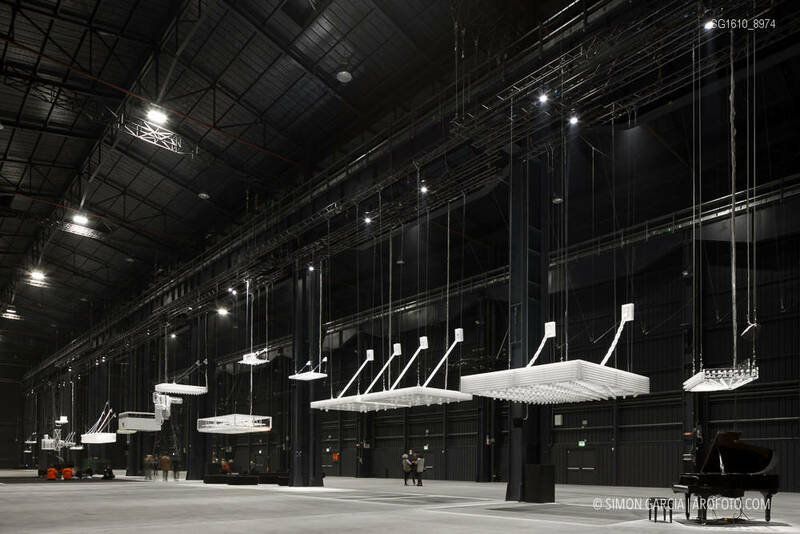 But they also set aside an area dedicated to the entrance and reception, clearly separated from the exhibition space. 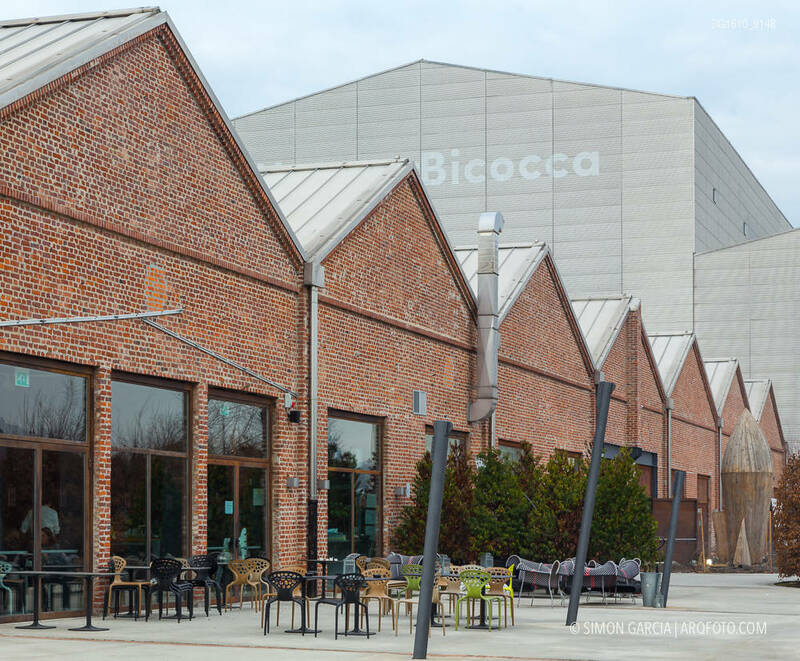 In this symmetrical space, there are a bookshop and a small bistro. 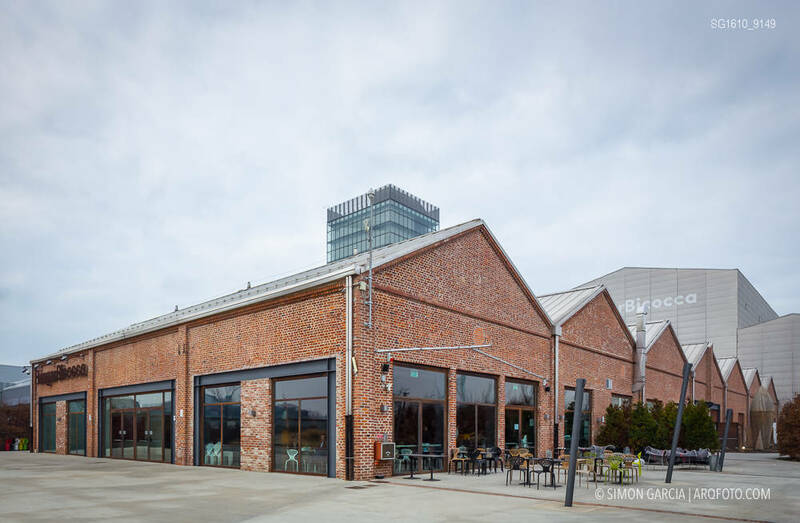 And while volumes to play a leading role on the interior of the library – all open to the front or sitting on four large tables that make playful use of the basic printing colours (cyan, magenta, black and yellow) – it is mainly in the project for the bistro that April was able to fully express the industrial space, creating an interesting, meticulous and creative project of reuse. 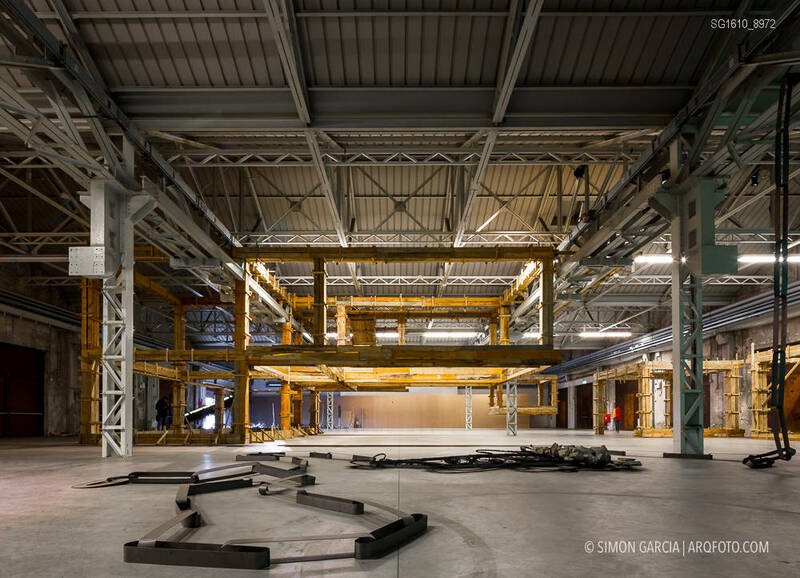 “The budget played a critical role in the project, giving us a precise brief. 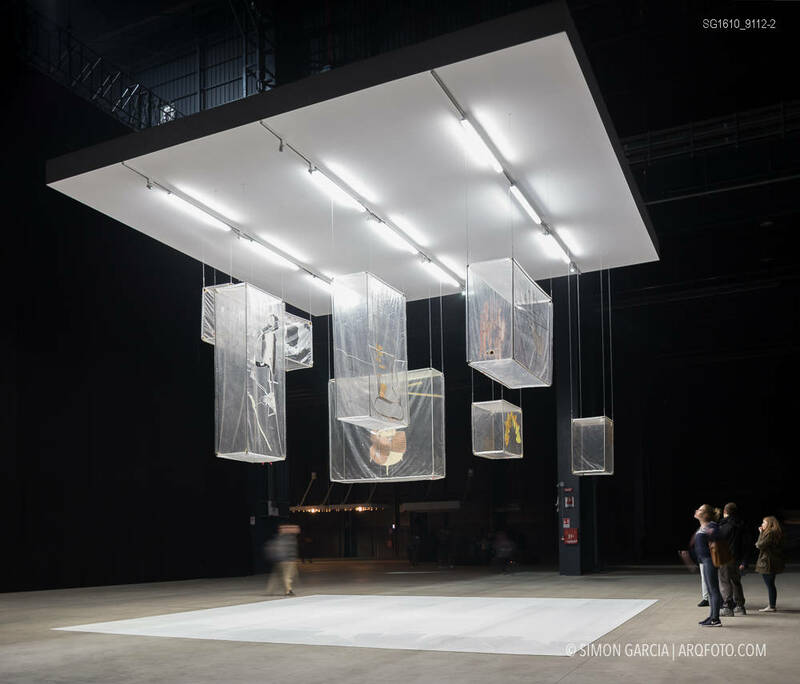 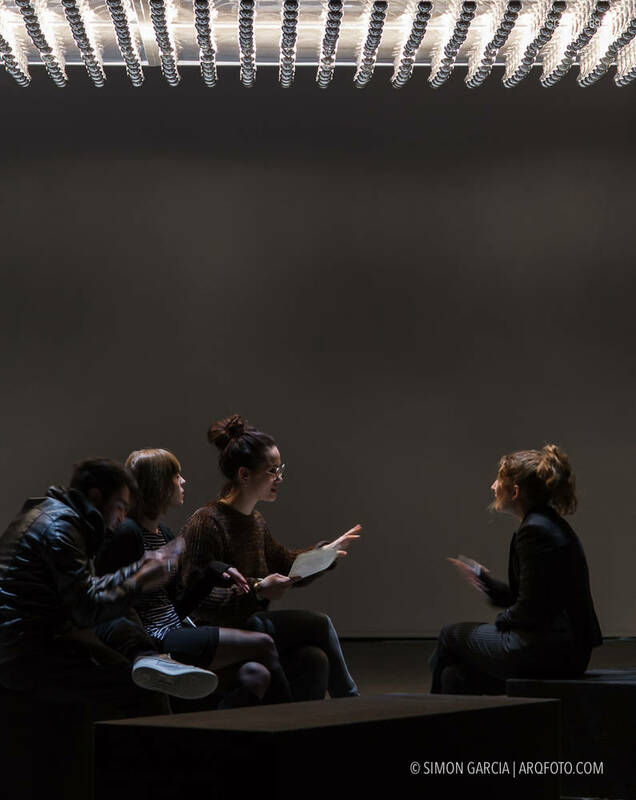 It forced us to react to the space by reusing existing elements, ” explained Francesco Tiribelli. 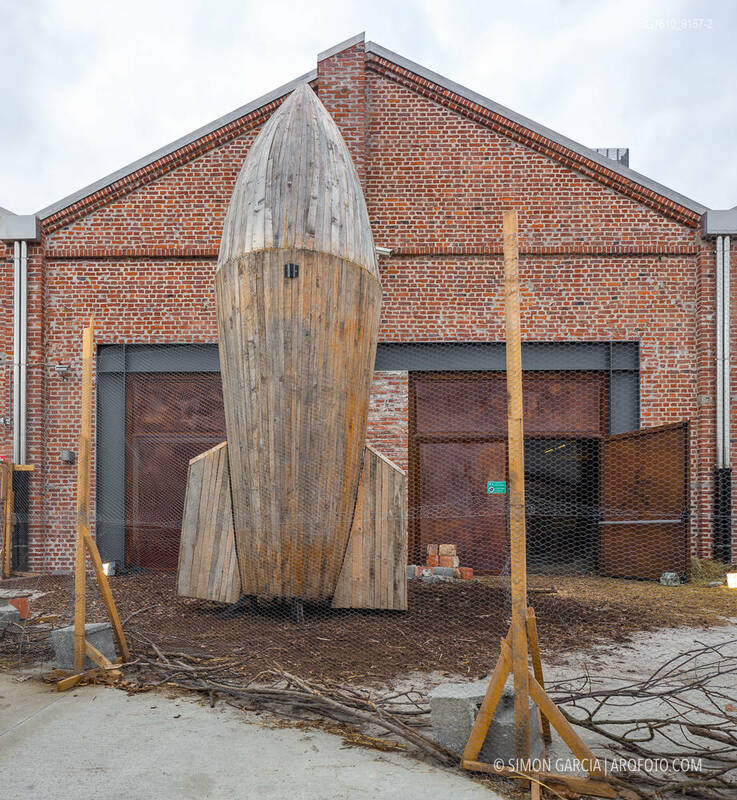 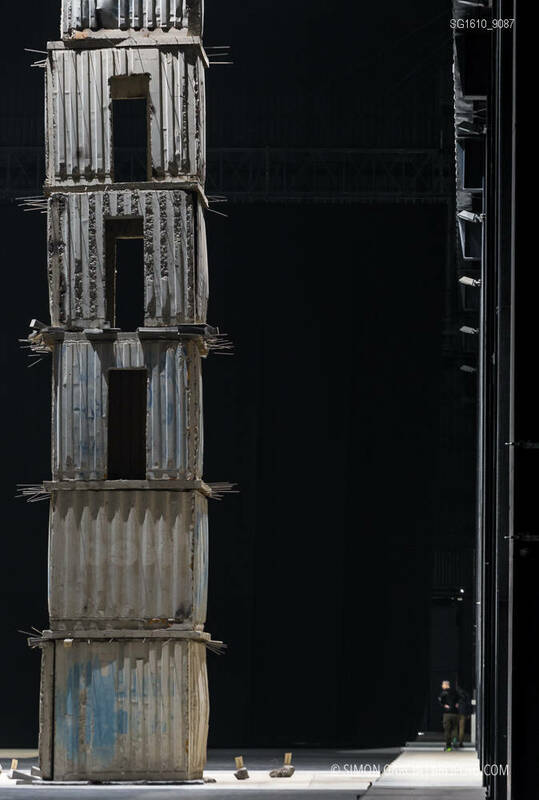 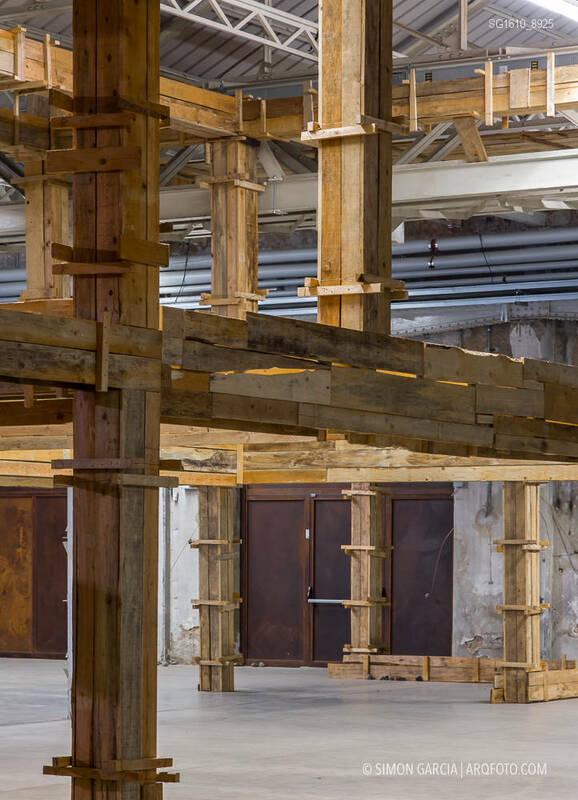 Industrial elements found inside the ex-factory, such as large wooden spools stacked on top of each other and adapted as bar tables or as columns to display local news, or metal spools that become mobile benches by adding a wool cushion. 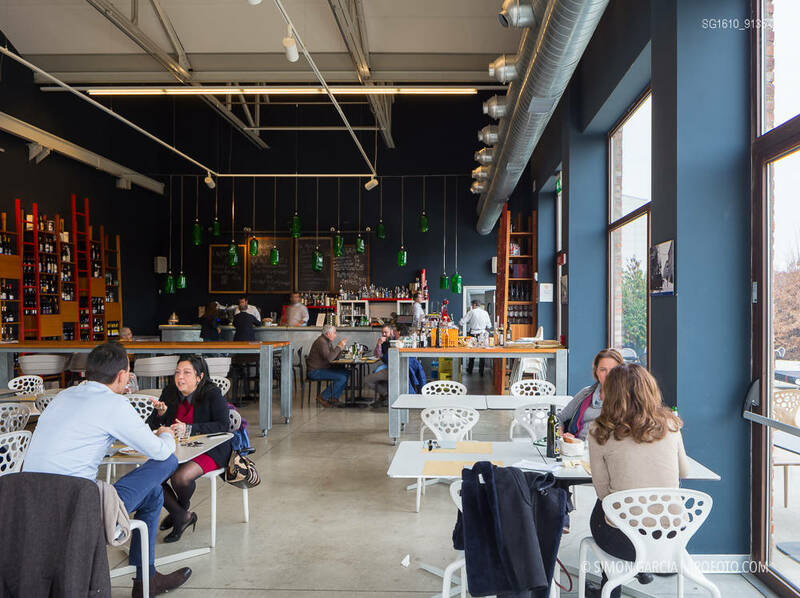 But also arm chairs, tables and chairs, or salvaged or antique, found in specialty stores or street markets. 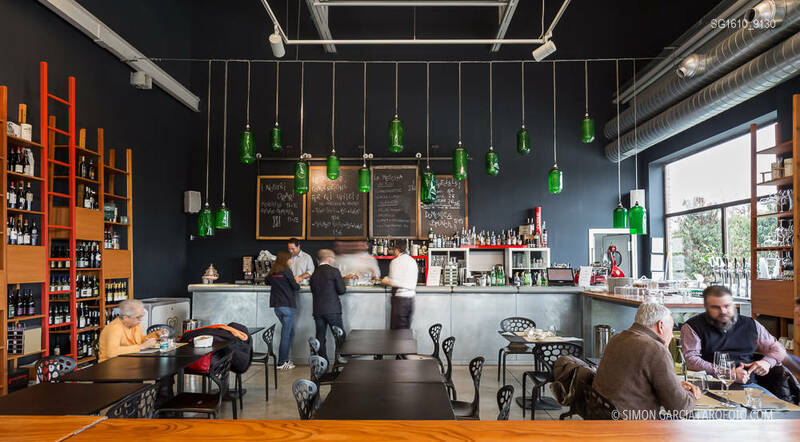 The bar is organized around a central table: a long countertop made from old molds for concrete “supported” by old, metal machinery. 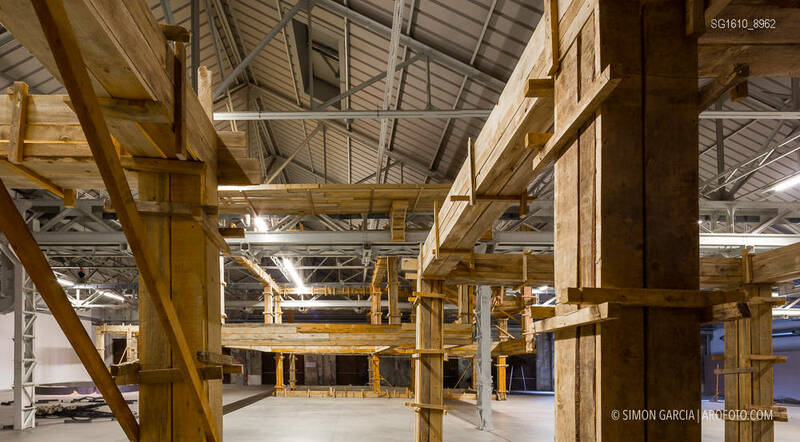 “It’s a typology that’s part of Northern European tradition,” they explain. 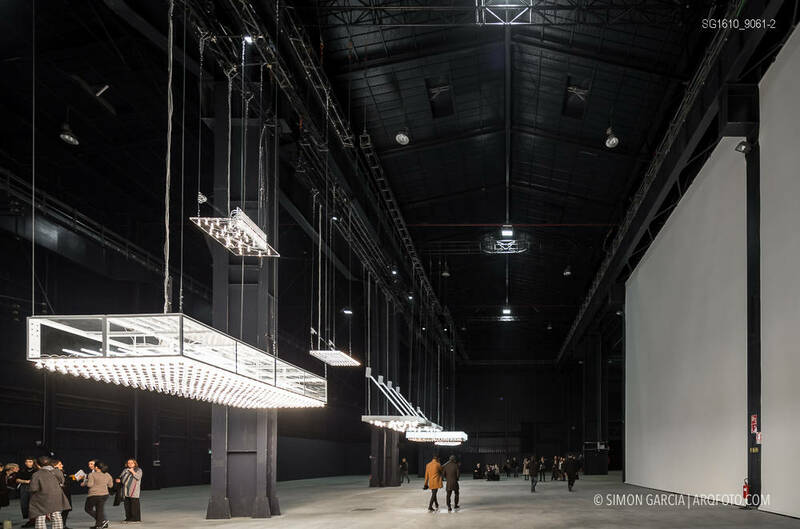 And that’s why they decided to reinterpret it by adding new functions: such as headphone jacks and wiring for the Internet. 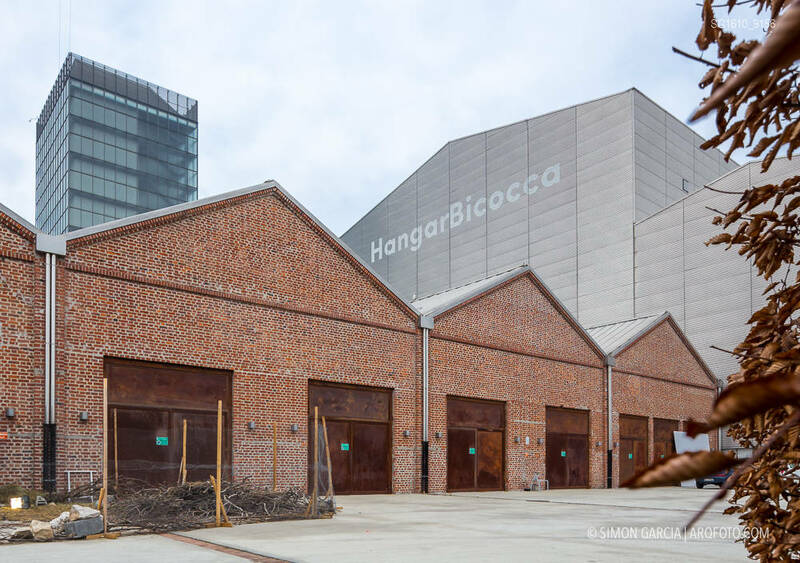 “Somehow we liked thinking of it as a place for hanging out rather than for speed,” adds Tiribelli.